Congratulations, you’re ready to write your very first review! 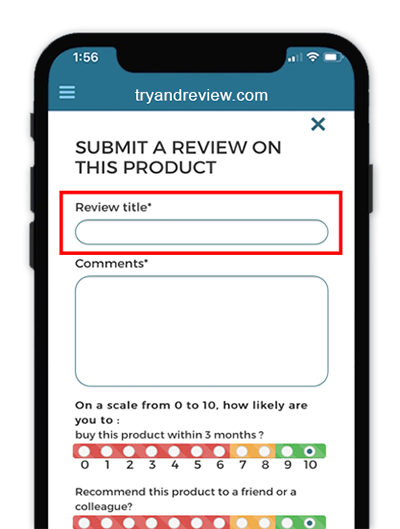 Follow along our process to compose and publish a review on the Try & Review website. Happy Reviewing! *Refer to our steps below to learn how to publish your first review. 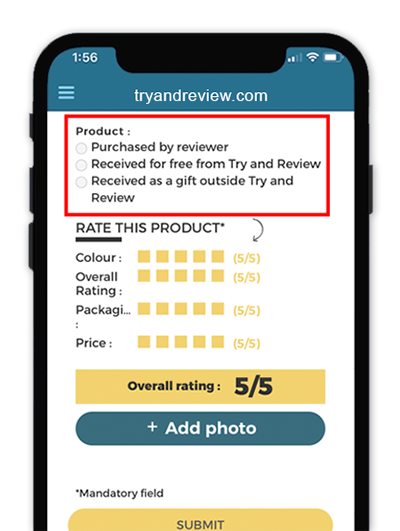 Note: At Try & Review, we promote authentic reviews because we want to help consumers make the best buying decisions. Whether your experience was positive or poor, we encourage members to exercise complete honesty. 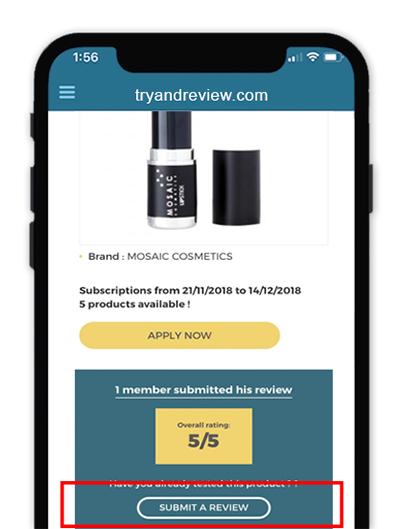 Are you a subscriber for Try & Review? If not, register here. There’s no charge for signing up! After you’ve reached a final judgement, carefully select the score for each category. Be specific. What features do you love? Instead of just saying that you like the product, explain why. Use clear examples of specific experiences - the more details, the better. Be readable. Use proper grammar and be sure to check your spelling. Be objective. Try to highlight both positives and negatives in your review, even if your experience leans heavily in one direction. Be relevant. Try to avoid off-topic details or personal opinions not relevant to your direct experience of the product. NOTE: The above tips do not constitute formal guidelines, but rather are intended as best practices for generating a useful, well-written product review. How likely would you purchase this product again? Is it likely you would recommend this product to loved ones? After your review is published, share it with your friends and family on social media. Don’t forget to include our hashtag, #tryandreview! 1. 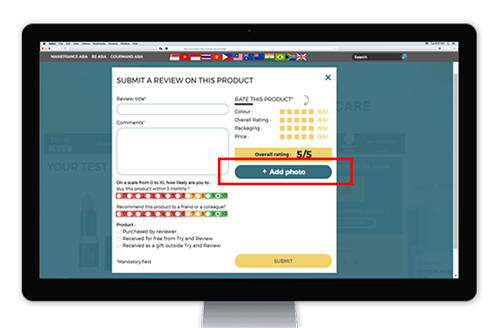 Click the Submit A Review button located to the right of the page. 2. Give your review a title. 3. Compose your comments in the empty box. Note: At Try & Review, we promote authentic reviews because we want to help consumers make informed buying decisions. Whether your experience was positive or poor, we encourage members to exercise complete honesty. 5. Select how you got this product. 6. Rate the product from 1 to 5, with 5 being the highest score. 7. Finish the review off by adding a photo of yourself with the product. Thank you for helping the Try & Review community make better product choices!